With over 100-million startups launched every year, competition to get noticed and emerge as the next big thing is becoming tough and brutal. Does it mean that startups eyeing to create their brand presence, get press coverage and bag recognition are expected to face rough weather? It is obvious that the beginning phase will be tough and patchy but some relevant Public Relations (PR) tips for startups will help them bag a competitive advantage in the market. Most entrepreneurial ventures face challenges to cut through the competition to position their brand and get media attention. However, there are certain strategies that can be employed to establish a startup.Many early stage ventures witness tough challenges when it comes to successful PR implementation. Despite realising the importance of creating a buzz through PR channels, the lack of connections fail to stir up good press coverage. Good PR proves helpful for startups to create user bases and lure interest from the venture capitalists. Follow the below mentioned tips to make your startup success ready. Before initiating a pitch for your startup, take a close look to find out what is newsworthy, mainly to the publications. There are plenty of startups which are not worthy of news due to its inability to offer anything unique. So, if your startup fails to add value, consider improving the product/services before making a pitch. Unveiling of a new product, service or a unique feature. Release of new data or study. After you know what is worthy of news, start creating your pitch. Every startup should be explainable in one sentence so that its purpose can be understood by all. It is essential that when the pitch is being created, bring down the use of industry jargons so that a common man can understand the business. Apart from the pitch, a message needs to be created for news event as well. It is important that a short and crisp pitch is created to explain the business to journalists. The message should be concise and focus on answering questions like why the audiences should know about your venture? Find out which demographic and publication will be interested to cover your startup. Create a list of top journalists with whom you would like to engage in regular conversations to make your brand successful. 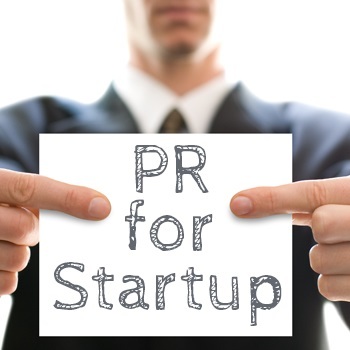 Among the varied PR tips for startups, this one assumes great relevance. When you are pitching your startup to a journalist for coverage, ensure that it fits into their area of focus. Everybody hates blast emails. Pay extra attention to create a customized email for the news outlets you want to tap. Most journalists and news agencies prefer to answer to emails that are thoughtfully written. Avoid the mistake of sending a lengthy press release and stick to custom emails to impress the journalists. Creating a handy list of the different assets in the venture can be a great way to make you pitch look attractive and interesting. One of the easiest ways to stay in touch with the reporters is to follow them on Twitter. They often share relevant news, articles which may interest you. Every venture can use these details to learn more about the journalists that will eventually help them to pitch their startup effectively. Include data and numbers in your pitches so that it substantiates your ideas. You can make your pitch interesting by using a study or infographic. If you are not confident of pitching your venture to news outlets on your own, you can hire a public relations agency to help get press coverage. It is important that you don’t let your startup fall prey to bad PR as it can make or break your brand. Market experts are of the opinion that securing the right media coverage helps in the positioning of a brand. While most corporate houses need PR to enhance their image, PR for startups is useful for brand positioning. I could not have agreed more. Despite the presence of an incredible idea that you’ve built, tested and developed, businesses fail to create an impression due to the lack of PR. In fact, many of the promising startups fail to impress due to the lack of understanding to get PR or marketing help. For any new business, the most impactful time is the big launch and hence it is essential to create buzz during this window. Only a good PR agency can make or break a business. The tips mentioned in the post are very impactful and beneficial for startups. If a startup is not considering the idea of PR for the purpose of business promotion, then it is doing a grave mistake. PR is a significant aspect of a business that a startup should focus on while developing or launching a company. PR enjoys a direct relation with other marketing and public facing aspects of a business and should be addressed in regard to questions like what I want to convey through my website? Who are the target audiences? Who are my competitors? According to me, every startup should engage in PR to enhance their position in the tough business world.